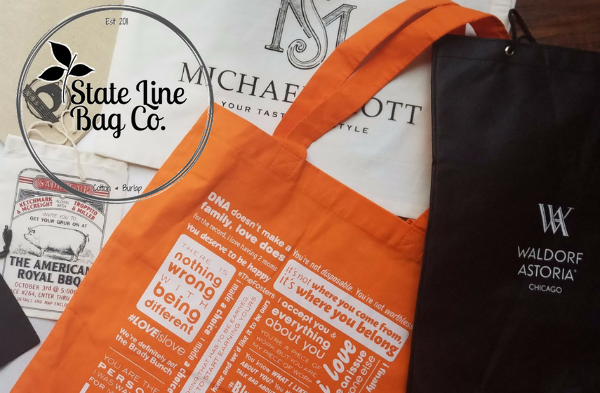 Custom Printed Bags from State Line Bag Co.
Did you know that State Line Bag Co. offers custom printing on all of our bag lines? Yes, no matter what you are looking to create, we can make it happen. We work with you through an easy process using your artwork. Screen and pad printing options are offered, and prices are varied depending on quantities ordered, bag sizes and colors required. If you are working within a budget, we will work to find you a solution within your means. With competition everywhere, it can be tough to get your product in the forefront. You can feel like just another fish in the sea. How do you make your product stand out? What is the secret to making it unique from the rest? Many often think of packaging as an afterthought, but it makes the first impression with your client. You packaging reflects what is inside it. What do you want to convey? A high-quality, durable, long-lasting product? You can distinguish your product with a custom printed bag that will grab shoppers attention. State Line Bag Co. has got you covered once again. We offer a special line of food-safe cotton bags. Our Economy Cotton Muslin Bags can be printed with your logo, food product name and ingredients lists. They are hot washed and chemical free, so you can feel confident packaging your food products in them. Our burlap bags are also a great option for pre-packaged foods like coffee, produce and snacks. If your product is organic, burlap printed packaging is a perfect option. What gets us so excited about our custom printed bags is that your clients and customer can use them again and again. They wash easily and can be used for multiple applications. Your logo will remind customers of that amazing ham they bought from you, or that super fun fundraising run your company sponsored. Every time they reach for your bag is another chance they might order from you again. They may share your bag with a friend. They may use your bag out in public. All of these uses provide you with additional advertising potential. You simply cannot put a price on that. 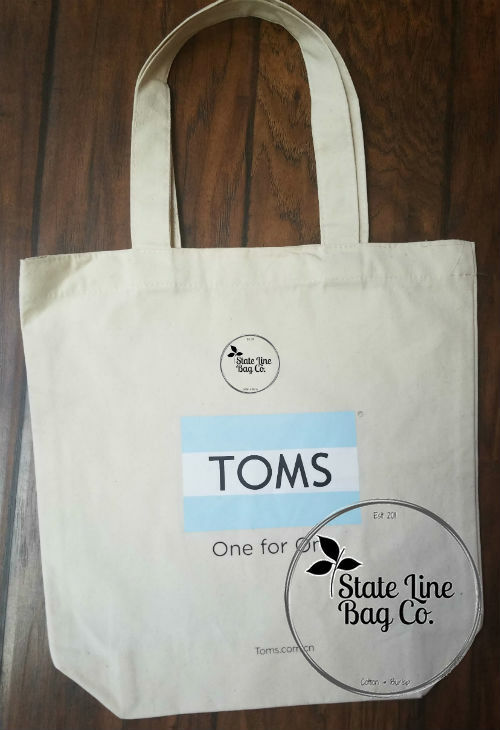 Let State Line Bag Co. create a unique marketing opportunity for you today with custom printed cotton muslin drawstring and backpack bags or burlap drawstring bags. As always, if you don’t see what you are looking for, let us know, and we can create the bag you want. All For Custom Printed or Custom Sizes Please Call (816) 832-2382 or get an online Custom Printing Quote within minutes. Your orders are personalized to your specifications. State Line Bag Company - The Quality and Quantity for all of your bag needs!